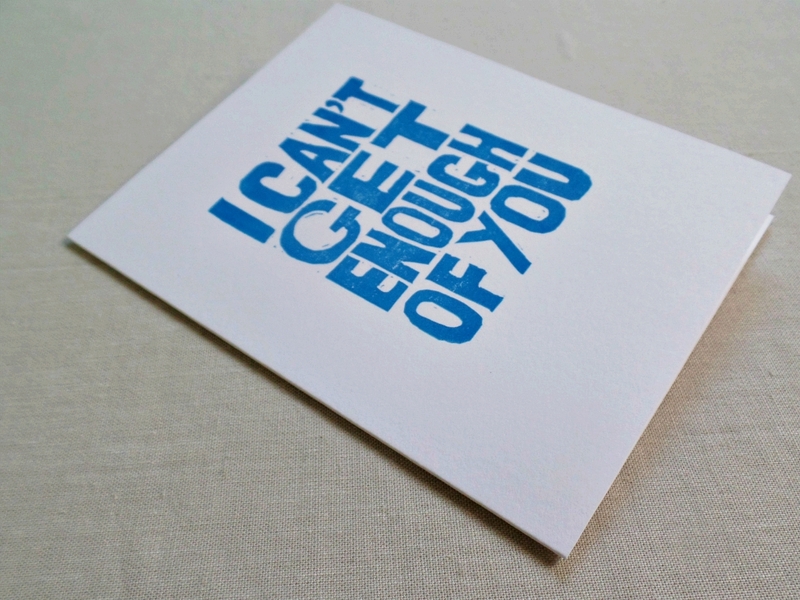 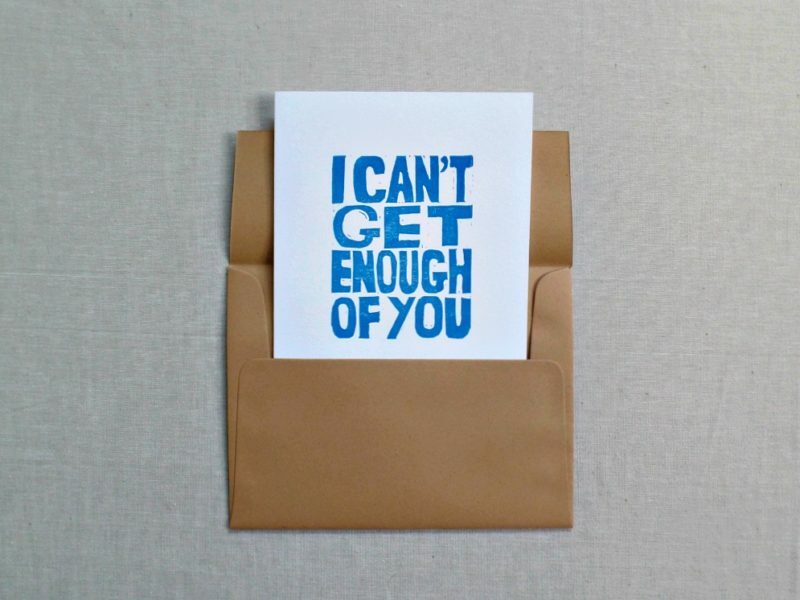 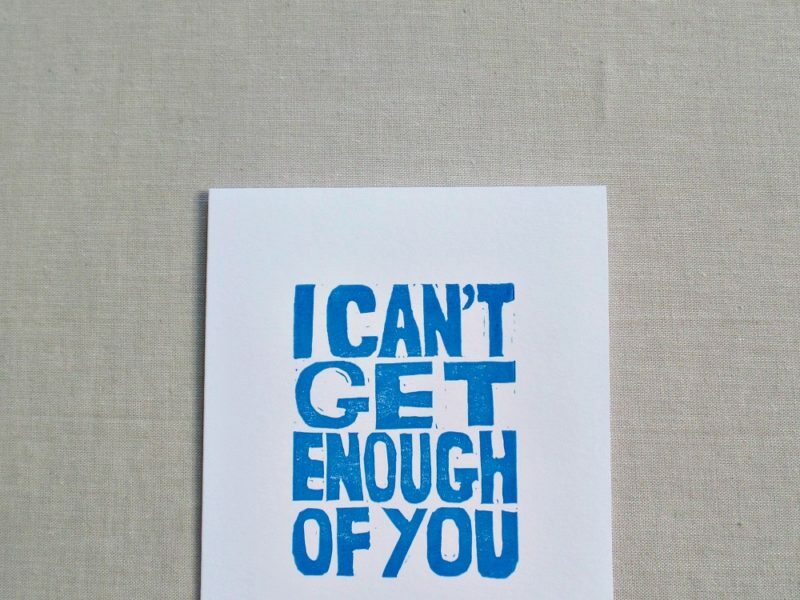 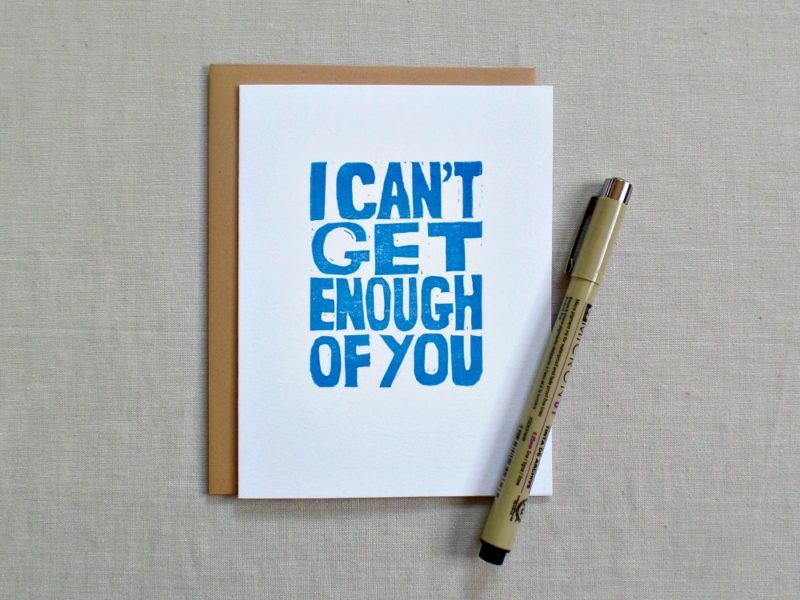 Here’s a romantic I Can’t Get Enough of You card for that person you just can’t get enough of! 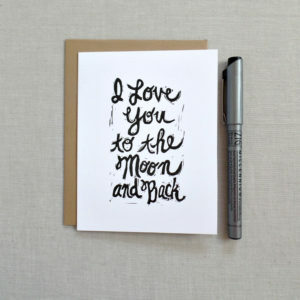 It would make a beautiful wedding or anniversary card! 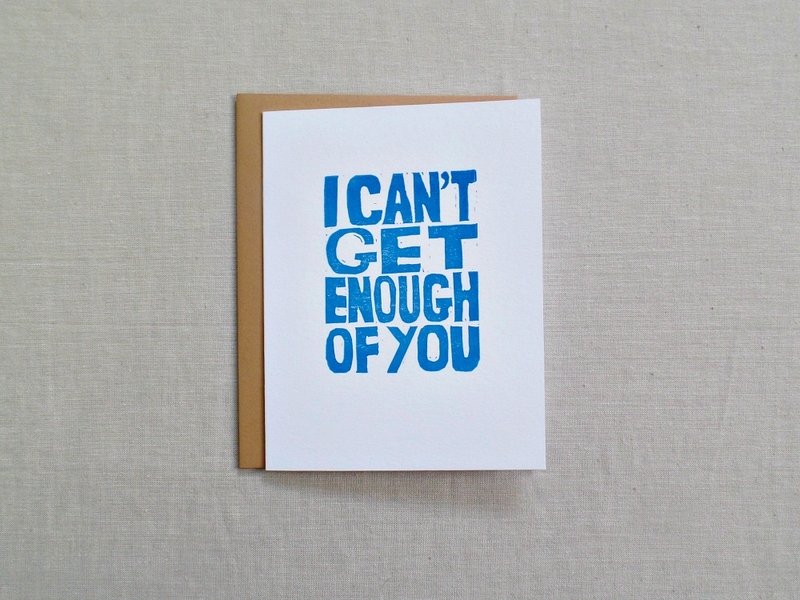 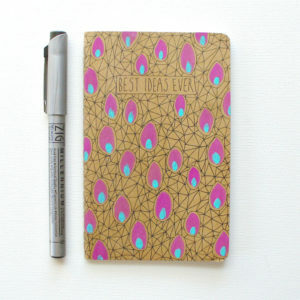 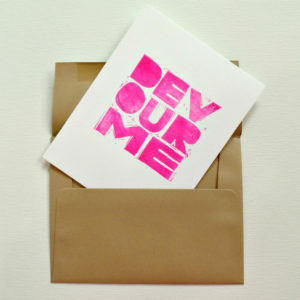 Or even a flirty boyfriend or girlfriend birthday card! 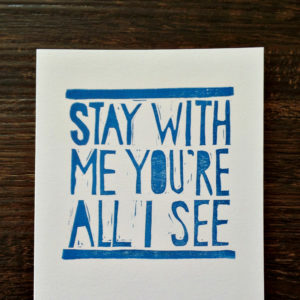 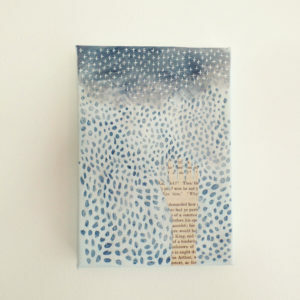 This cute card is hand printed by me in blue ink on a white sturdy card. 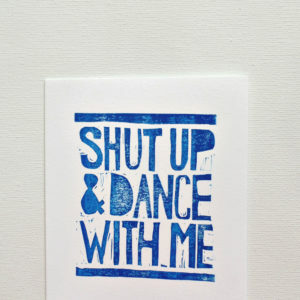 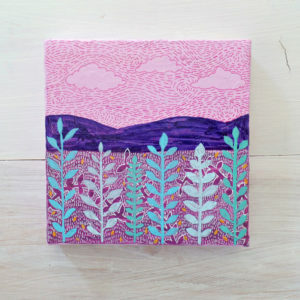 The block used for printing, was designed and hand carved by me in my rustic, imperfect style.